Easy adjustment above or below the water. 6.5mm neoprene strap has plush backing and no-fray Velcro. 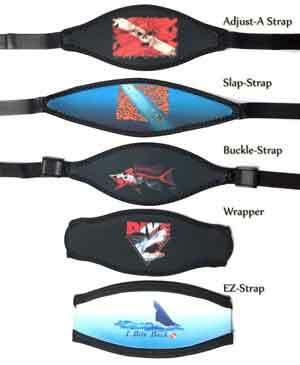 Buy Neoprene Mask Strap Have A Nice Dive from Divers Supply at the best price. Neoprene Mask Strap Have A Nice Dive comes with full Manufacturers warranty because Divers Supply is an authorized dealer for everything we sell.